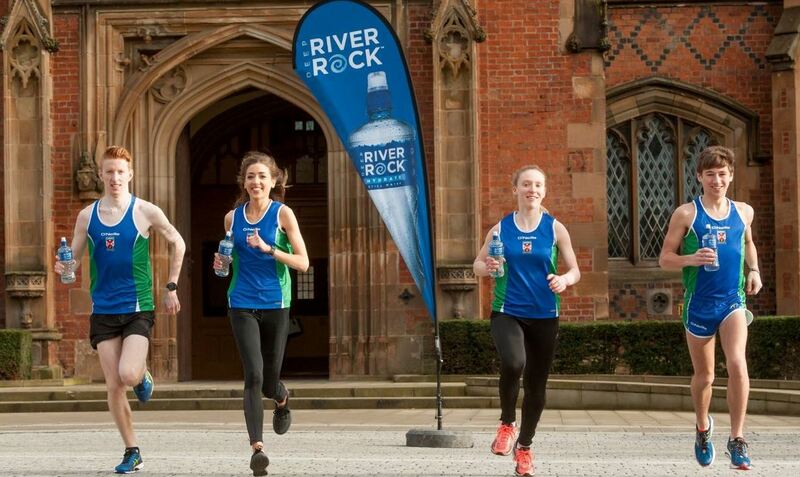 Hundreds of Queen’s students and staff will join local runners for the popular Deep RiverRock Queen’s 5k ‘Race Round the River’ event which will take place on Wednesday 29 March 2017, just ahead of the Easter break. The main event will kick off at 7.30pm with the 3k ‘warm up race’ starting at the earlier time of 6.50pm. The flagship 5k race in Northern Ireland has again been granted Northern Ireland and Ulster Championship status from Athletics NI and once again the organisers are looking forward to another fast and competitive race along the unique route around the River Lagan. Queen’s Sport, Physical Education Centre (PEC) will again act as the race HQ for all pre and post-race requirements. Kevin Murray, Sport Development Officer at Queen’s said: “We look forward to another successful event with runners from throughout Belfast and beyond taking part in this special ‘Race Round the River’. “The 3k ‘warm up race’ also offers a shorter route for junior athletes and participants of all abilities to get involved. We acknowledge the support from the University and our principle partner Deep RiverRock in making this event happen. Oonagh Gildea, Marketing Manager for Deep RiverRock said: “I am delighted to announce our continued support for the ‘Race Round the River’ event taking place from the beautiful Queen’s PEC. The start of the race is located along the Annadale Embankment close to the King’s Bridge. Athletes must complete 2¾ laps of the course before finishing alongside the entrance to the PEC carpark. Each lap is approximately 1.8km long. The race organisers require volunteers to help out with stewarding at the event. If you are a student at Queen's and would like to volunteer please click here and complete the details as requested. Those considering taking part can visit www.queenssport5k.com for full details of the races, entry fees and the course. For further information please contact Kevin Murray tel: 0780 424 9181 or visit Queen’s Sport.